History:The Enchantress' parentage is unknown, though it is known she was born in Asgard and has a sister by the name of Lorelei. 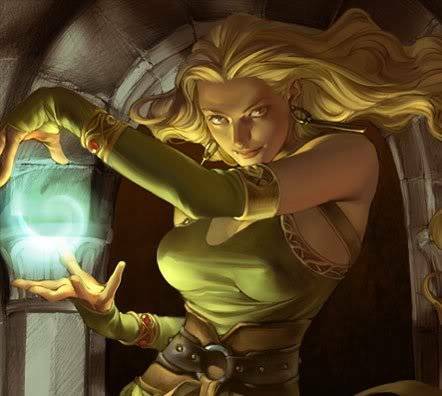 Amora began learning magic as an apprentice of Karnilla, Queen of the Norns but was eventually banished. She continued learning magic on her own, notably by seducing others well versed in magic and learning their secrets. In time, Amora became one of the more powerful magic-wielders in Asgard, with her magical arsenal focused on (but not limited to) charming and mind-controlling people. Her by-now well-renowned beauty did not hinder in this.